Remember during the era of the late 90's early 2000's when the Ruff Ryder's had the rap game on lock? They dominate the radio airwaves with gritty street rhymes & a lyrical capability that helped to carve their very own lane in hip-hop history. Well, the Ruff Ryder's have officially announced that they are back together & they have plans to shock the world. More deets after the cut. 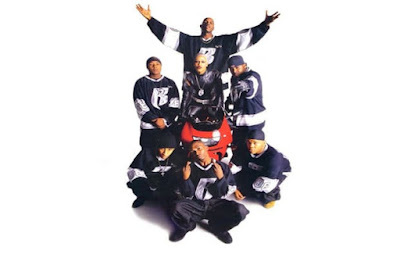 According to the official Ruff Ryder's website the original squad Eve, DMX, Drag-On, The Lox & Swizz Beatz will be putting on a 20th anniversary concert. The show will be held at Brooklyn's famed Barclay's Center on Friday, April 21st & tickets will go up for pre-sale March 1st at 10am EST. All other general admission tickets can be brought on March 3rd at 12pm EST. & will be sold via Ticketmaster.